The First Responder Network Authority recently participated in the Smart Cities workshop in Las Vegas, hosted by US Ignite on May 30. Local governments and industry came together to discuss public safety solutions in light of smart city deployments. Leaders from Albuquerque (NM), Boise (ID), Lafayette (KY), Las Vegas and Henderson (NV), and Portland (OR) attended and shared examples of how they are deploying smart city solutions in their communities. The conversation centered around collaboration among local government, planning agencies’ IT departments, and public safety agencies. Although these entities may have different focuses in their community service areas, similar factors drive their decision making: connectivity, interoperability, quality of information, funding, and the power to convene and collaborate. When planning agencies, their technology departments, public safety, and others work together, the return on technology investment can far exceed what they imagined. The smart communities vision discussed at the US Ignite conference—in which cities are digitally connected, can collect and turn data into actionable information, and improve services—is similar to what the First Responder Network Authority believes the Internet of Life Saving Things can do for public safety’s ability to serve communities. 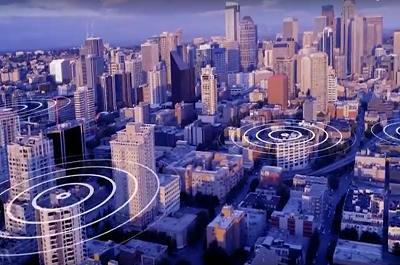 The vision of the FirstNet network aligns with the vision for smart cities, in which enhanced and connected communication tools give public safety better situational awareness and better outcomes for those they serve. In anticipation of a 30 percent growth in population by 2036, the City of Henderson, NV, developed a smart city plan so technology investments they are making today enable future economic development, achieve positive community aspirations, and enhance the quality of life for their citizens. Public safety is one of the plan’s five focus areas included in their smart city plan. By better managing resources to account for expanding city boundaries and populations, the city recognizes that technology can increase responder coordination. For example, a city-wide integrated operations center will provide a consolidated view of the city, predictive analytics can model crime patterns, drones can be deployed to clogged traffic areas instead of patrol officers for an initial assessment, and a video hub can make it easier to track incidents from sensors located across the city. In Albuquerque, NM, there was a collaborative effort among public safety agencies, transportation departments, and public works to create lighting solutions to reduce crime and create safer neighborhoods. When the lighting system is activated, a camera begins recording and information is sent to a real-time crime center to determine if there is a need to dispatch public safety units. Because of this technology, Albuquerque has been able to reduce unnecessary responses and, therefore, make better use of scarce resources. Cities and counties need a robust, wireless network to make smart communities and the Internet of Life Saving Things possible. This is why local government officials and public safety should care deeply about investments in communications infrastructure, expansion into rural areas, and densification in urban areas. With more coverage and capacity, smart cities and the Internet of Life Saving Things can be truly realized, helping public safety agencies save lives and create a better quality of life for the communities they serve.